TUBAY, Agusan del Norte, Sept. 25 (PIA) -- The Department of Trade and Industry (DTI) in the province of Agusan del Norte briefed some 150 Senior High School (SHS) students of Doña Rosario National High School (DRNHS) on the protection and promotion of consumers’ rights through the consumer education seminar here. 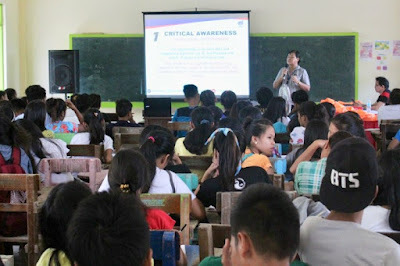 During the seminar, Chief Trade and Industry Development Specialist Wyn A. Palma shared and discussed the eight rights of a consumer to include: the right to basic needs; right to safety; right to information; right to choose; right to representation; right to redress; right to consumer education; and the right to a healthy environment. Palma also encouraged students to look for quality instead of quantity and not to engage in panic buying. He reminded them to look closely at the product labels for they contain information on the ingredients, the “best consumed before” and expiration dates, and the name and address of the manufacturer when purchasing a product. Participants were also informed on the proper process of lodging a complaint, where to bring and how to look for a consumer welfare desk. He also encouraged the participants to do their share in caring for our environment by practicing the 3Rs of environmental protection – Reduce, Reuse, and Recycle. She enumerated and discussed the responsibilities of each consumer to the group namely: critical awareness; action; social concern; environmental awareness; and solidarity. 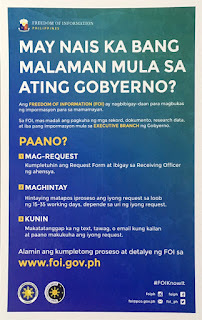 Robles also advised them to act and not remain passive so as not to be exploited. TANDAG CITY, Surigao del Sur, Sept. 25 (PIA) – The Community Environment and Natural Resources Office (CENRO)-Bislig confiscated more than 10,000 board feet lumbers for three and a half months alone this year, in collaboration with the Philippine Army and the Philippine National Police. Department of Environment and Natural Resources-Provincial Environment and Natural Resources Office (DENR-PENRO) Enforcement Section chief Forester Rodulfo Aspirin said the 10,839.20 board feet have an estimated market value of Php402, 457.14. Aspirin also told the members of the Provincial Multi-Sectoral Forest Protection Committee (PMFPC) during the 3rd Quarter Meeting on September 20, 2018 held in Tandag City that they have confiscated 14 motorcycle units, one unit of Fuso dump truck, and one unit tractor, and six chainsaws during the operations conducted. BUTUAN CITY, Sept. 25 (PIA) -- The Butuan City Water District (BCWD) recently received four prestigious awards during the Search for Most Outstanding Water District organized by the Local Water Utilities Administration (LWUA) held at the Philippine International Convention Center in Manila. 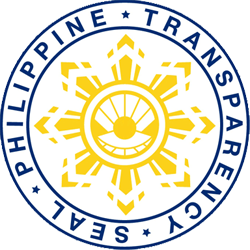 According to BCWD senior public relations officer Ramil Barquin, the agency was named Most Outstanding Water District - National Level Category A for its exemplary performance in providing quality service to majority of its concessionaires. It was also awarded Most Outstanding Water District in Mindanao - Category A for being the best performer water district among the Category A water districts in Mindanao and also received recognitions for being a Water District with Department of Health or DOH-Accredited Laboratory; and Big Brother Water District, for generously guiding, mentoring and assisting smaller water districts, Barquin added. The awards were received by BCWD chairman Atty. Roldan Torralba, director Juanito Lao, director Claudio Estacio and general manager Engr. Anselmo Sang Tian. “These awards manifest the unending efforts and the sincerity of the Board of Directors, Management and employees to provide improved water services that satisfy the District’s customers,” Barquin said. As BCWD will celebrate its 45th year anniversary in April next year, the said awards are more than enough proofs of its no non-sense operation and management, he also said. BCWD will strive more to surpass the achievements it has achieved in the past 45 years of its existence as the sole franchise provider of safe drinking water in its area of coverage, he added. (NCLM/PIA-Agusan del Norte). BUTUAN CITY, Sept. 25 - The Agusan del Norte Police Provincial Office (PPO) of Police Regional Office (PRO) 13 has been named as the over-all best performing Police Provincial Office during the first 10 days as Regional Director of PCSupt Gilberto DC Cruz. The award is in recognition of the unit’s successful anti-illegal drug operations and campaign against wanted persons in the region. RD Cruz, who assumed his post on September 11, has directed the unit commanders to double their efforts in the conduct of law enforcement functions and public safety services. In the campaign against wanted persons, Butuan City Police Office under the command of PSSupt Albert Magno, with 14 arrested persons, ranks first; followed by Agusan del Norte Police Provincial Office under PSSupt Ramir Perlito Perlas with 12 arrested persons; and then Agusan del Sur Police Provincial Office under PSSupt Marlou Martinez as third in rank with 11 accomplishments. With the total number of successful operations conducted and suspects arrested in the continuing war on drugs, Agusan del Norte PPO ranks as first, followed by Agusan del Sur PPO as second and Butuan City Police Office as third in rank. RD Cruz acknowledged the efforts given by Caraga cops to attain a safer place to live in. TANDAG CITY, Surigao del Sur, Sept. 25 (PIA) - A total of 1,305 motorcycles in the Surigao del Sur were registered and received clean rider stickers, as of Sept. 13, 2018, a police official here said. PPO chief PSSupt Francisco Dungo Jr., Provincial Director, urged the public particularly motorcycle owners in Surigao del Sur to support the said anti-criminality campaign and apply for a clean rider sticker to the nearest city or municipal police station provincewide. Dungo added the program was successfully launched in the province at the Vicente L. Pimentel Sr. Boulevard in Tandag City last August 18, 2018. Surigao del Sur Police Community Relations Officer PSupt Ramil Tersona, in a press statement said, the clean rider program is a nationwide campaign of the Philippine National Police (PNP) aimed to ensure the safety and security of motorcycle riders as well as prevent the impounded/stolen motorcycles to be used for criminal activities. The clean rider sticker will be given free to all legitimate motorcycle owners. BUTUAN CITY, Sept. 25 -- Some 103 Agrarian Reform Beneficiaries (ARBs) and smallholder farmers underwent a three-day training workshop on Product Selection, Supply Assessment and Market Chain Study under the LinkSFarm or Linking Small Farmholder to Market conducted by the Department of Agrarian Reform (DAR) of Agusan del Norte on August 29 to 31, 2018 here. The LinkSFarM project organized 22 clusters of several smallholder-farmers and Agrarian Reform Beneficiaries (ARBs) involving eight Agrarian Reform Beneficiaries Organizations (ARBOs) from different Agrarian Reform Communities (ARCs) within the target project areas of Butuan City. DAR Provincial Agrarian Reform Program Officer II (PARPO II) Andre B. Atega said that the project is a convergence approach among the DAR, Local Government Unit of Butuan, farmer groups and various stakeholders to engage farm business by way of collective marketing approach. 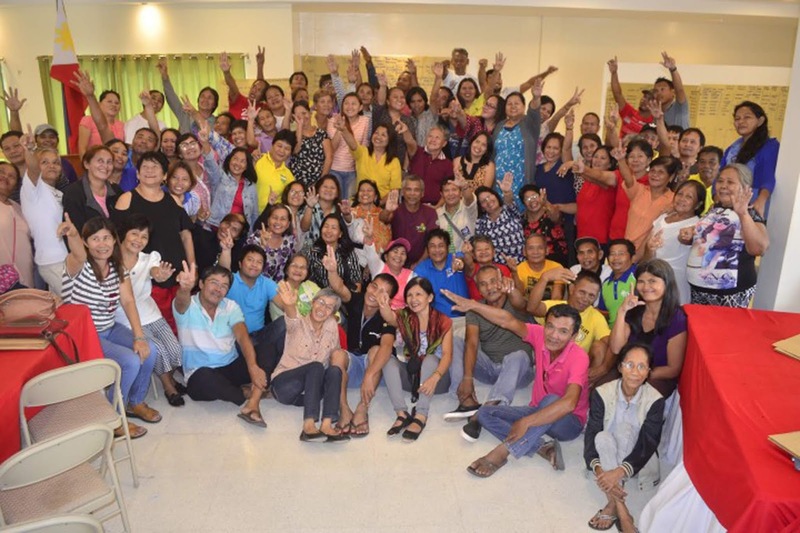 According to LinkSFarM Provincial Point Person Juanita Balibay, the training helped the farmers fully understand the cluster’s capacity to supply selected products to the market. “The training also emphasized the importance of market chain study to gather market information of the intended buyers. This activity enhances the farmers’ knowledge to formulate agroenterprise objectives for collective marketing,” Balibay added. Reynaldo Villarama, one of the participants, said the training helped farmers learn entrepreneurial skills and establish strong business relations with buyers.